As the number of K-12 students participating in various forms of online learning steadily rises, teacher quality is of paramount concern. This article explores the theoretical underpinnings surrounding quality teaching in online settings as well as practical considerations for what teachers should know and be able to do in online environments. Based on this understanding, we examine state level policy from across the nation aimed toward establishing mechanisms to ensure online teacher quality. From this analysis, policy recommendations to help develop the caliber of online teachers of high quality teachers are suggested. While additional research is needed to assess the effectiveness of such measures, a vital first step is beginning the process of a systematic review concerning what current research reveals about quality online teaching, actions states are taking along these lines, and lessons that can be gleaned from each of these areas. Archambault, L., DeBruler, K. & Freidhoff, J. (2014). K-12 online and blended teacher licensure: Striking a balance between policy and preparedness. 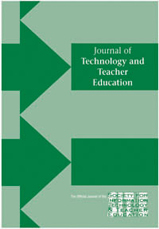 Journal of Technology and Teacher Education, 22 (1), 83-106. Waynesville, NC USA: Society for Information Technology & Teacher Education. Retrieved April 25, 2019 from https://www.learntechlib.org/primary/p/112361/.